AL SHARPTON (Friday 19 Nov 2010 - 32:20): And part of what I think the FCC needs to do is give the guidelines of what is excusable and what is not. What is permit-able or permitted I should say and what is not because clearly you’re not trying to block free speech. But, I think that for people to engage in programming shows that will use racial or gender bias as their format, we’ve got a right to say there are standards that the FCC can say that you cannot continue to have licenses to do that. You got to remember that those stations that Rush Limbaugh is on and others are regulated by FCC, granted by FCC. They go back to them to get wavers. They go back to them to get consolidation. Anyone foolish enough to believe the left learned anything from November's Democratic drubbing clearly has no idea how these people operate. Losing a president-for-life referendum did nothing to slow down Hugo Chavez's takeover of the Venezuelan economy and there's no reason to believe Obama & Friends will behave differently. I'm tired of hearing Sharpton crying all the time. He has no common sense whatsoever. Why can't everything be equal. Who cares if you're white, black, tan, brown, or what color, or if you're democratic or republican? We are all people. Each and every one of us. Why can't we respect each other? 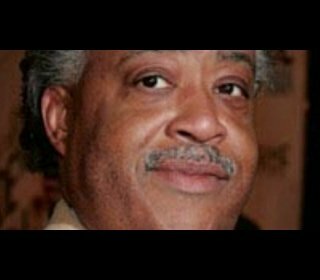 Oddly enough, Al Sharpton offends me based upon my race (human), my religion (Christian), and my having more than two living brain cells. Based upon his argument, it is time to ban him from the air. The reason they want to shut up Rush is liberals can't compete with their own shows like the lame "Air America"; which was a failure. This guy is so freaking dumb. The FCC can't censor the speech of a man's opinion, we live in America where we can freely say what we want whenever we want. This guy is just another ignorant person that get's a radio show where he can tried and spread his communist opinion. News Flash, we live in America, not Africa. He's just upset that the KKK still has a right to do and say what they want as long as they are't breaking the law.... come on now! There is a huge difference between offending others just by stating your opinion (what Rush Limbaugh does on his radio show), and offending others by stating your opinion in a racially biased fashion (what Al Sharpton apparently hears when Rush Limbaugh speaks). If we allow the FCC to regulate the former, we may as well have no talk radio at all, as it will then be nothing more than 'state-sanctioned press'. Guess Sharpton wants this to be the United Socialist States of America after all. As for why people can't all respect each other, well, some people just aren't happy unless they're making others miserable. Al "not so" Sharpton using an old leftist favorite, we can't beat our bigger compitition, so we will try tearing it down to our size. BTW, anyone else laughing at Al Sharpton for trying trying to accuse someone of racism...again? This guy actually has blood on his hands, & he has the nerve to call other people out. Amazing! I am african-american and *gasp* a tea party republican...I also don't particularly like Rush Limbaugh. Not because I disagree with more than 2 percent of what he says, but because I am a big believer in comity. I think the way Rush presents his opinion harms comity. Despite that, the left is far worse. Rush may belittle his opposition, but the left considers them enemies! Someone calls me a name and I'll get over it. But, the only real solution to an enemy that won't bend to your will is to kill or capture them. The left's mindset leads to concentration camps, plain and simple. Yeah, Sharpton is a whack job; it's not going to happen. As far as I know, the kind of race-baiting that Limbaugh seems to relish is Constitutionally-defended free speech. Tacky, but protected. Equating the current US administration with Hugo Chavez is just stupid. It's currently popular to call anything to the political left of Newt Gingrich "socialism." Just what we need... neo-McCarthyism. Arioso: I consider socialism at a minimum to be any attempt by the state to take wealth from some, particularly an exclusive class, to provide long-term subsistence to others. This definition allows a great deal of debate about emergency assistance and even sharing the common burden of providing support for those truly unable to support themselves. The left seems to believe that any worthy need can be met by the state by the abilities of some. From each according to his ability, to each according to his need...Socialism. What i find funny is Mr sharpton owes almost a million in back taxes , maybe he should shut the hell up and pay what he owes as the rest of us poor working class have to do everyday when we work 8 - 10 - 12 hour days trying to provide something nice for our families i am so sick of these people they are what is wrong with America i say tar and feather everyone in washington and run there asses out of town ! As one of the two biggest racists in the country, Jesse Jackson being the other, you would think the Reverend Al wouldn’t accuse anyone else of being a racist. Where is his divinity degree from again??? Why is it that SOME people speak of "FREE SPEECH" AND use it for themselves, yet- when they THINK they HEAR something they don't agree with...right away they want the "other person's" right to FREEDOM of Speech withdrawn: HOW is this CONFIRMING our RIGHT to FREE SPEECH??? !!!! PLEASE !!!! COMMON SENSE MUST prevail- and OUR RIGHTS preserved: it's NOT a menu we can "SELECT" from!!!!! "The FCC can't censor the speech of a man's opinion, we live in America where we can freely say what we want whenever we want." Although that was true a generation ago, sadly it becomes less true with each passing day. All, of course, in the name of "protecting" us. SHarpton is a f***ing tea-bagger. if sharpton is really a (rev) as he claims she should pay his back taxes and then get on his knees and repent to god that he cheated , he needs to be reading his bible and do his job if he is minister and shut his mouth on other issues he and jesse jackson just use rev as cover up , neither one can shut up their big mouths ,they just dont like rush limbaugh putting all the latest news out there so they can be in control , i am all for rush limbaugh being on radio and if sharpton and jackson cant take the heat get in the pulpit and start preaching the gospel if they want to be called (REV) sharpton and rev jackson. Get over it and shut it.!!!!!!!!!!! We can laugh all we want (for now) at Sharpton but the FCC is seriously considering any way to stiffle or silence conservative talk radio. Sharpton is just a mouthpiece for a broader, deeper and deadly serious attack on free speech. The FCC will use economic attacks as necessary on the licensees, just as Congressional Democrats have attacked those who advertise on conservative talk radio. They want to control the internet and cable too. Keep your eye on the ball citizens. Sharpton got his so called popularity by being connected to a fraud,(Twanna Brawley). Limbaugh, was just re-married this past year, and by a perfectly Black Pastor. The Rev. Hutcherson from greater Seattle, presided over Rush's wedding. The Rev Hutcherson actually has his own church, and congregation that he applys his trade to. Has anyone on Earth ever seen, or, heard of the church that Sharpton has? I didn't think so. According to Al's title "Reverend", which means; Holy and Rightous", he should be living his life according to the good book. What I see is a hateful, left wing type, who has nothing to do with leading people to heaven, but directing them the opposite way. Jesus and Sharpton have nothing in common. Isn't it funny the Bible reads: Goats will go to the left, and Sheep to the right. Right meaning Heaven. I seriously doubt Sharpton has ever listened to Rush Limbaugh. All his tired arguments reek of third-person knowledge of what happens there. Perhaps he should rethink this racial stance....How are others suppoed to look beyond the color of your skin when you won't do it yourself? I think most of you need to pick up a dictionary and look up "racism" and "bigotry". The former has connotations of superiority, the latter, just plain dislike and hatred. For the comments I've read so far a global search and replace on "racist" and "racism" replacing them with "bigot" and "bigotry", respectively, would be a huge improvement. Al and Jesse routinely voice their hatred of Jews and other ethnicities. I've not seen them claim superiority, . . . yet. Has anyone here listened to what Sharpton has said on his radio show or what he says to black audiences? I didn't think so. He often mentions how blacks need to give up the victim status, pull up their pants, get married before having kids and get an education. He has some pretty dumb political views, but so do a lot of people. Probably like some people that like to post comments without hearing the whole story. The airwaves belong to the public,just like the air, water or the roads. Stations receive a license to operate - a privilege, not a right - and are required to operate in "the public interest." licensees show that they are not fit to provide public service to the broad spectrum of viewpoints of Americans. I absolutely AGREE 100% with Al Sharpton. Rush Limbaugh is a racist, hate-monger whose polarizing, divisive invective is far more dangerous and corrosive to society than anything that the FCC currently censors--like "curse" words in songs that play every hour. Isn't it time that we realize the harm and denigration to society that Limbaugh Beck, and their hateful ilk bring to society? The sword is powerful--but the pen--and the radio--MUCH more powerful. And while we're at it, let's not forget the Right's effort to completely silence NPR--where's the outrage at THAT?